AVG Technologies added a default do-not-track feature in its Internet security software. The company offers a version to consumers for free. The product, which identifies Web sites that collect personal data online, works with browsers Mozilla Firefox, Microsoft Internet Explorer, and Google Chrome. The tool doesn't block information from basic Web analytics tools used to improve performance and optimize Web sites, information from social buttons intended to indicate a Facebook Like or a Google +1. New and existing customers who update AVG’s free and paid 2012 consumer security products with the new Service Pack will become automatically protected from sites and networks that invade their online privacy. Another new Service Pack features WiFi Guard -- offering protection from unknown WiFi access points. AVG supports about 108 million active users. It took about a year for company engineers to build out the tool after spending months discussing what -- if anything -- personal information ad networks and advertisers should have access to collect. The outcome seemed simple. "Put privacy controls in the hands of consumers," said JR Smith, CEO at AVG. When asked how this might affect online advertising, Smith didn't think it would have a negative impact on advertising revenue. There are some consumers that just don't want to be tracked. "We're not trying to act like the judge and jury," he said. "We're just trying to bring awareness to what the tracking looks like, so consumers can decide." The tool analyzes an ad network's privacy policies and behavior, Smith said. "There are hundreds of ad networks -- most of which have a fairly good behavioral pattern," he said. "If privacy polices aren't in line with legislation or rules laid down by the World Wide Web consortium, we will block the data." Smith said there's an icon in the browser that allows consumers to see the ad networks tracking movement and clicks across the Internet. Unclicking the tick boxes allows them to track movement. Today, the tool supports desktop search and actions across the Internet. Smith said the company is working on a mobile tool, but declined to provide an estimated ship date. Smith applauds the government for wanting to protect consumers, but he doesn't want to see the U.S. set standards that lull people into a false sense of security. And then those standards become the norm. Last month, the Obama administration proposed a “Consumer Bill of Rights” for privacy and the European Union. Some platform companies are voluntarily working to improve the transparency around the data they collect. 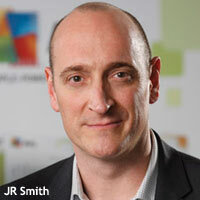 Smith also believes that tools will also evolve into offering more control around reputation management. "There's a whole generation of kids growing up that know nothing more than do it and post it," he said.